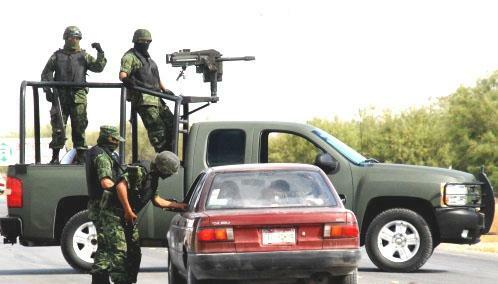 The nation of Mexico resembles a nation going through the trauma of a brutal civil war. Yet, the government of Mexico seems at a loss about tackling the ongoing crisis. Hence, in the first four months in Mexico this year, just over 8,700 murders have taken place. This is a remarkable statistic given the reality that no civil war exists in Mexico. It is estimated that roughly fifty percent of all murders is based on crime related to organized crime syndicates. Sadly, even by terrible murder standards in Mexico, the current killing spree is the highest since prosecutors began to record statistics over two decades ago. In other words, the situation is spiraling out of control because of institutional failures of the state; the belief that life is cheap, issues related to narcotics, and other important factors, for example, the power of crime syndicates. Internal corruption inside various institutions in Mexico is further eroding confidence in the democratic process because “money talks and buys.” Equally disturbing, a violent vacuum enters the criminal world when the state apparatus attacks syndicates. Indeed, some syndicates have been attacked that appear to favor others. Therefore, political confidence building and institutional reassurances are seen for being empty rhetoric under the prevailing conditions in Mexico. In 2016 more people were killed in the conflict in Mexico than in the brutal conflicts engulfing Afghanistan, Iraq, and Yemen. Indeed, the total of deaths in Mexico was roughly equal to the combined deaths of Afghanistan and Yemen. This figure is astonishing given the fact that technically Mexico isn’t at war – apart from with itself based on various negative factors. President Enrique Peña Nieto, the leader of Mexico, seems aloof to the reality that is besetting Mexico. Given this reality, plans related to anti-corruption, the prevention of crime, reforms related to security forces and the police, and other important areas, seem either redundant or in static mode. Of course, other nations are blighted by high crime rates and issues related to narcotics. Despite this, the crisis in Mexico is spiraling out of control. Therefore, the current figure of three murders per hour in Mexico seems set to continue – indeed, even if the figure falls, it seems that this will be based on crime syndicates rather than the state apparatus.